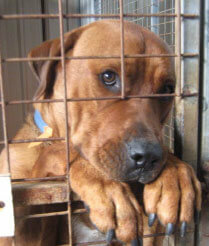 Thank you for your interest in becoming a foster carer with Sydney Pet Rescue & Adoption. Your answers will help us to assess your suitability for foster caring, and to match you up with an appropriate foster pet for your circumstances. Please note the person taking responsibility for the foster pet must be over 18 years of age. Would you be able to transport a foster pet is needed? Please note cats must be maintained 100% indoors. Do you have experience with young/newborn kittens? Do you have any experience with caring for sick pets? Would you be interested in caring for a pet with a manageable temporary condition? For example Cat flu/Kennel cough. These animals need to be isolated from other pets in the household. We can provide a holding pen and assistance with care as needed. We cover vet care cost. Do you have somewhere to isolate a pet if needed? Pets who who are new to the SPRA system need to be isolated for 2-4 wks before they can be mixed with other animals, due to the potential for incubating illness, especially if they are new arrivals coming from the pound. It is safer to keep foster animals, especially cats, separate to the carer’s own animals as we cannot guarantee that an underlying condition will not develop at some time in the future. 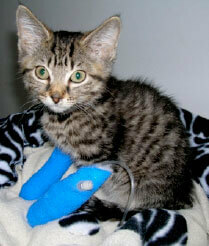 The risks of an underlying condition tend to be greater with cats rescued from a pound e.g. FIV/FIP. SPRA will discuss this with you at the time of going through your foster application form. Date you can foster until? Would you be interested in fostering a pet until it has found a home? Are you going on holidays/going to be away in the near future? Are there any periods of time when foster care would not be available? Please note that we need reasonable security with foster care. It places a lot of pressure on the foster system if foster carers pull out without adequate notice. We generally need at least 4 weeks notice if care is unavailable, and preferably as much notice as possible. In an emergency, we will do whatever is necessary to move the foster pet as needed. Please confirm with your landlord/real estate agent that you have approval BEFORE submitting this form. Please provide name and contact details of your landlord or Real Estate agent, for verification of approval to have a pet on the premises. Alternatively, please provide written confirmation of approval from your landlord/real estate agent. How long have you been in your current premises? Is your rental accommodation secure? If not living in a house or townhouse, what floor do you live on? How have you secured your balcony to either prevent access, or to prevent a cat escaping or falling if given access? Cats will climb up onto railings and can jump very high. They can roll over when sleeping and fall off. Falls have been known to result in serious injuries and even death. Please note that unless you have a secure cat enclosure, foster cats must be kept indoors at all times. This is for security to prevent cats getting lost or involved in a road accident. Do you have a full fenced yard, with fence in good repair? Do you have a lockable gate? Where would you be keeping the foster pet? Do you have an outdoor car enclosure / rabbit hutch / holding pen? Are your other pets desexed? Are your other pets vaccinations up to date? Is everyone in your household supportive of you fostering? Please check that all parties are in agreement before submitting your application form. Is anyone allergic to the type of pet you are seeking to foster? Have you had a pet of this type before? How long did you have it for, and what happened to it? Do you feel confident in caring for this type of pet? Do you have the time to look after this type of pet? How often would the pet be left alone? Would it be a problem keeping the foster pet indoors at night? Are your tetanus injections (recommended) up to date? Foster carers must be reasonably contactable by telephone, and preferably by email (although email is not essential). Would this be a problem? An important part of being a foster carer is being able to work with others, working within foster care guidelines, to accept advice and act on instructions with regard to caring for the foster pet. Would this be a problem? Do you or anyone else in your household, have any health/medical conditions that would affect your ability to care for this type of foster pet? Do you have any adults/children in your family with a disability? This will be considered in relation to the welfare of the pet and vice versa, the family member. A criminal record check may be done. Have you ever had animals removed from your care? Please provide 2 character references ie vet, minister, employer, doctor, pet supplier/grooming salon where you are a customer, charity where you do volunteer work, school, other. Reference checks may be undertaken to confirm suitability for our foster program. Please provide your references name, address, contact number and relationship to you. I confirm that this is a true and accurate account of my circumstances. I am willing and able to care for a foster pet. We are a registered charity and non-profit organization run solely by volunteers. We receive no funding of any kind. Our adoption fees go towards the necessary procedures (microchip/vaccination/de-sexing/flea/worming and vet check) for animals prior to their re-homing. We make no profit from these fees, and often do not reclaim enough to cover our costs, especially when extra vet services are required, as they often are, with pets rescued from Death Row in a pound. Would you be able to provide your foster pet(s) with food (and litter if fostering cats)? Most of our carers provide food (and litter for cats) for their foster pets. Would you be in a position to provide any of the following items for your foster pet(s) whilst you are caring for them? *N.B: Many items can be purchased relatively inexpensively from discount stores such as ‘The Reject Shop’ or other ‘$2 dollar shop–type retailers’, ‘Go-Lo’, ‘The Base Warehouse’ and IKEA also now stocks a good affordable range of pet items. ‘K-Mart’, ‘Big W’ and supermarkets also have lower priced supplies. Do you have any concerns or questions about fostering?